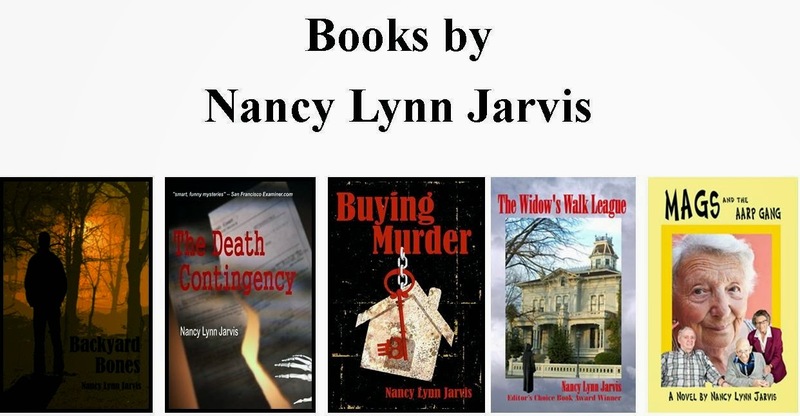 It is my privilege today to introduce you to Nancy Lynn Jarvis the author of the Regan McHenry Real Estate Mysteries series. To celebrate her latest release, The Murder House - Nancy is guest posting today and there's a giveaway! Take it away Nancy! Show of hands, please, how many of you believe in ghosts? I don’t, you see, except that I’ve seen one, which really plays havoc with my nay-saying. And if I’m willing to go to just one degree of separation and listen to people tell of their first-hand experiences with ghosts, oh boy. It was from this ambivalent perspective that I wrote “The Murder House,” the fifth in my Regan McHenry Real Estate Mysteries series. Regan McHenry is a Realtor who winds up repeatedly playing amateur sleuth no matter how many times she swears she will never get involved in another murder. She, like me — a twenty-five year veteran of the real estate business— and many Realtors I know, has had the experience of walking into a house and having the hair stand up on the back of her neck . She knows what it’s like to be hit by a wave of cold and experience an overwhelming sensation of evil when previewing a house. Even so, like me, she clearly states that she doesn’t believe in ghosts, not when there might be a rational explanation for what seems like a spectral presence. Her certainty made it great fun to write a book in which Regan, convinced the only thing that might cause a house to be haunted was its past reputation, sometimes wonders if she is right. It was also fun to write the book because during the writing process, I began asking people if they believed in ghosts. What I discovered is that most people have a ghost story or two to tell even if they aren’t into the paranormal. And ghost sightings aren’t predictable based on the witness’s educational level, occupation, religion, culture, gender, or age. 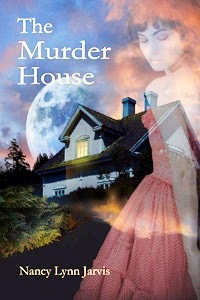 http://www.amazon.com/Murder-House-McHenry-Estate-Mysteries-ebook/dp/B00HO114IA/ref=sr_1_1_title_1_kin?s=books&ie=UTF8&qid=1391550549&sr=1-1&keywords=Nancy+Lynn+Jarvis and click on “look inside” to read it. I used my personal ghost sighting in the book, as well. 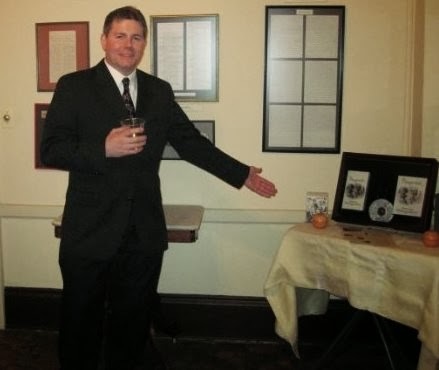 The ghost in the woods in “The Murder House” is what I saw at the Wayside Inn in Massachusetts before I knew many others had reported seeing such a ghost. In “The Murder House, “ there is a rational explanation for what people are seeing in the woods, though, and at the Wayside Inn, there isn’t. After writing “The Murder House” and living with its alleged ghosts, did I change my mind and become a believer? As Regan says at the book’s conclusion when asked if she’s seen the ghost, “I think that’s too personal a question for you to ask.” Let’s just say that one thing is perfectly clear: I have developed a love of swapping ghost stories and would love to hear yours. Leave me a comment with your ghost story and you'll be entered to win an eBook copy of The Murder House. The winner will be announced on February 28, 2014. You can read my review HERE! Every community has a house that people walk by hurriedly, nervously peeking at it out of the corners of their eyes. Bonny Doon is no exception. A bloody double homicide occurred in the Murder House almost twenty years ago and the killer has eluded capture ever since. Recently the house was inherited and the new owner wants to sell. The problem is no one wants to buy a house with a reputation and reports that it’s home to ghosts. The seller thinks Realtor Regan McHenry would make a perfect listing agent ― after all, with her penchant for playing amateur sleuth, she’s no stranger to murder. This is the perfect mystery to read if you don’t believe in ghosts — and an even better mystery to read if you do. Nancy Lynn Jarvis was a Santa Cruz, California, Realtor for twenty-five years but was having so much fun writing that she let her license lapse in May of 2013. She put Regan, Tom , and Dave from the Regan McHenry Real Estate Mysteries Series on hiatus to write Mags and the AARP Gang, a comedy/adventure about a group of octogenarian would-be bank robbers, but she missed her characters, so they're back to solve another murder In the newly released "Murder House." The next book is unclear because she has another idea for a mystery as well as an idea for another very different book. Don't forget - to win an eBook copy of THE MURDER HOUSE leave your ghost story in a comment. In this 2012 file photo, students from Everglades City School, along with the help of others, paint the Ochopee Post Office on for Breast Cancer Awareness Month. The post office, which is considered the smallest one in the United States, has been open since 1953. This is an article on What Happened To Ochopee? by Brent Batten for the Naples Daily Newspaper. 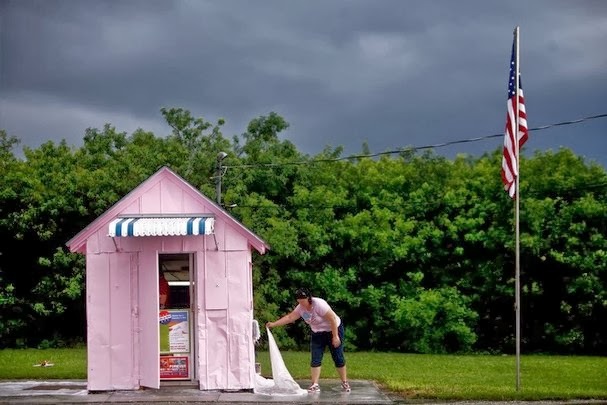 Perched alongside U.S. 41 east of Everglades City sits the “America’s Smallest Post Office,” an attraction that draws people to Ochopee if for no other reason than the opportunity to have a picture taken next to the novelty. What visitors don’t realize is that the tiny converted storage shed is a remnant of a much larger history. It is a story of free spirits and adventurers who once populated Ochopee, supporting a motel, restaurants, bars, industry, a general store and sundry tourist attractions. It is also a history of ambitious plans to carve a national preserve out of thousands of acres abutting Everglades National Park and of how those plans ran headlong into the aspirations of the locals, mostly to the detriment of the latter. In it he describes a childhood spent getting to know the characters that populated the village; the hunters, fishermen, Miami Dolphins fans fleeing television blackouts imposed by the NFL and even the occasional movie star who would come and go. Whichello, now a computer programmer living in the Tampa area, where his family settled after being forced to sell the motel, will be at the Everglades Seafood Festival this weekend signing copies of his book. As hard as it may be for this weekend’s visitors to rustic Everglades City to believe, a trip there was considered “going into town” by Ochopee residents in the 1960s and 1970s. Driving all the way into Naples was an even bigger deal — “going to the city” — where one might find exotic items such as ice cream. The slow demise of Ochopee began in 1968, when work began on a jetport envisioned to serve the growing Miami market. The FAA had plans to build six runways on 35 square miles near the Dade-Collier county line smack in the middle of the Everglades. It was to be the biggest airport in the world, capable of handling the supersonic passenger jets of the future. Work was already underway when environmentalists rallied to put a stop to the project. Influential politicians came to their aid and in the end the jetport idea was scuttled. The political pendulum swung the other way and a report from the National Academy of Sciences suggested preserving land around the national park would minimize the impacts of development. Thus began what Ochopee locals deemed a land grab that resulted in residents being forced from their property and the Golden Lion, once a motel, restaurant and bar, converted to the headquarters of what is now the Big Cypress National Preserve. Whichello details the hearings and meetings that constituted a battle between the locals and the political interests, many of them with little connection to Florida. Whichello was just a teenager as the drama unfolded and his family lost its business. They moved to Brandon where they mostly still live, “just getting by,” he said. 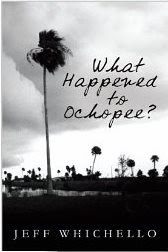 “What Happened to Ochopee?” has the tone of a lament, retrospective of a simple time when neighbors sat on the docks behind their homes and caught their supper or communally boiled crabs and played cards to while away the evenings. An aspiring writer, he says he felt the need to get the Ochopee story off his chest before he could move on to other subjects. “After the traumatic experience, I couldn’t get over it. When I was 19 I started collecting information. A year ago I started writing,” he said. Seafood Festival visitors might wander a few miles east of State Road 29 to see the almost comical post office and giant skunk ape statue that stand as visible remains of the Ochopee that once was. To the former residents and the few still hanging on there, the story is anything but comical. Like a tall palm tree growing from a single seed, the community of Ochopee emerged from one man's solitary dream. In 1928, twenty-eight-year-old James Gaunt saw undiscovered potential in the swamp that lay on either side of the new road that connected Tampa to Miami. His love of farming and community fueled his actions to build his own world. One of the top producers of tomatoes in the country, Ochopee earned its place on the Florida map but when the market dropped, other adventurers joined. Only people with a certain creativity, work-ethic, and talent succeeded in this mucky land. An airboat and a swamp buggy venture, animal exhibits, real estate businesses, a water company, a mining operation, restaurants, a motel, bars, a general store, a campground, movie makers, and a skunk-ape followed Gaunt to the grassy field he first declared his home. A small twentieth century pioneer town prospered on the open plain where children were born and families lived in peace. Then, the takers came. These big-picture people were unconcerned about the details of their actions while staring at a map of Florida from their government offices. They were unable to imagine or realize the activities of this unique community living free in the wild. When environmentalists and developers collided on the Ochopee battle ground, it was the common person, the one who scrambled every day to feed their family who suffered in this war. The only one with a stake in it, they had something to lose. This is a true story. Story quotes were taken from newspapers and other sources and feelings, thoughts and emotions were taken from interviews with eye-witnesses. The book has 50 images. From birth, the author spent his childhood alone in the Florida Everglades keeping company with the animal life while his parents worked to build a motel and restaurant business in the tiny community of Ochopee. Once his sister was old enough they set out on combined adventures, discovering the advantages of a simple and quiet existence of catching fish in the afternoon sun. The American dream which his parents constructed alongside his father's five siblings came to a sudden close with the intervention of government forces, but the author never forgot the anguish he witnessed as his home town fought to survive against the land acquisition of the Big Cypress swamp. He later moved away to Brandon near Tampa where life commenced but with the first act in the back of his mind he continued to dwell on the topic of government abuse against families. Through the years he returned to the Everglades in order to maintain friendships and the original connection to the land. He continued to invent a host of stories and writings while pursuing a career in computer science. He travelled to New York City and worked in Manhattan for 3 years and then in Alabama before returning home to Florida having left the state for over six years. In current times he works part time writing a handful of books the first of which is for Ochopee.